Forest School was developed in Scandinavia in the 1950s. Their philosophy was based on the desire to provide children with an education which encouraged an appreciation of the wider, natural world and responsibility for nature conversation in later life. 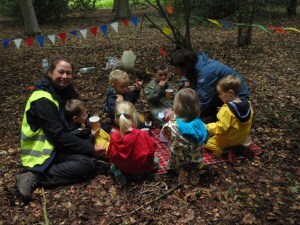 Forest School has shown children grow in confidence, develop independence and helps raise children’s self-esteem through small achievable tasks. Above all Forest School is lots of fun!